If you’re brave enough to go out of the box, this adventurous tiny bedroom will be perfect for you. 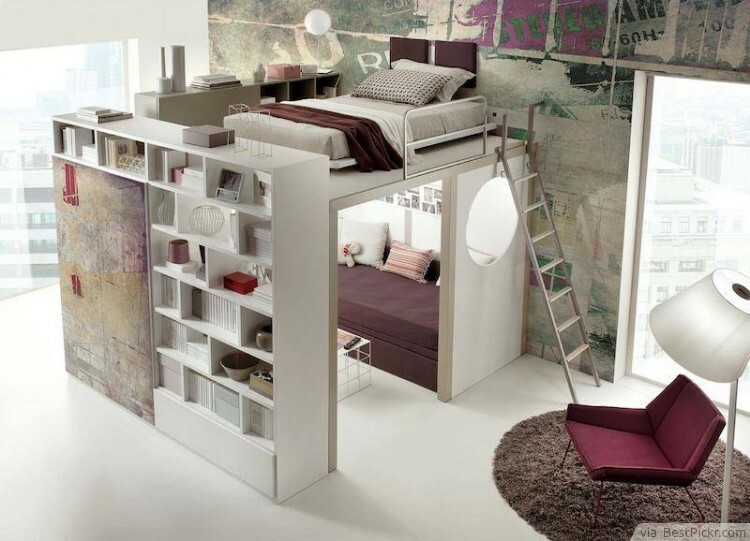 Designed especially for people who are renting their place, the creative bedroom near the ceiling can be the ultimate space saver. This tiny haven will literally lift your mood since items that can hinder you from taking a good night sleep will have to be located on shelves below the room. The typical dilemma of a small space bedroom is the limitation in creative freedom– you want to make it look beautiful, but there is just no space to do so. The solution is simple: Instead of choosing decors that eat up functional corners, why not use an elegant wall mural? There are a lot of decorative wall decals that can instantly transform your room and make it look much bigger than its real size. Near the ceiling and under the bed-- these are the two most unused spaces in a bedroom. 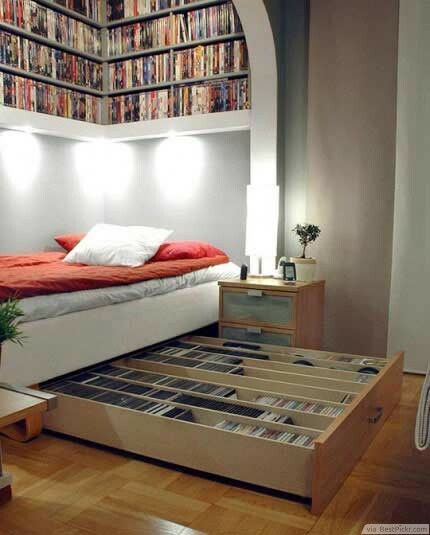 If you have a little bedroom space, and you are a certified book lover or CD collector, using these spaces is the smartest thing to do. The key is to arrange your collectibles perfectly in such a way that they will look like a decorative display. Little space should never stop you from designing your bedroom the way you want to. For an instance, if you want a traditionally designed master bedroom, you can purchase small wooden tables and chairs to be placed beside and across the bed. 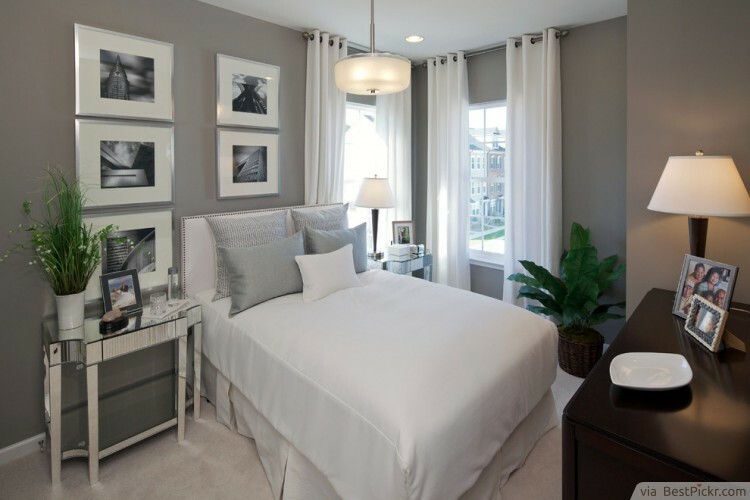 The first choice in colors should be varying shades of neutral tones. Patterns and wall art should be subtle but sophisticated. Over the years, vertically-stored beds hidden in sleek closets have been a consistent lifesaver when sudden guest arrives. The only thing a homeowner should do is choose the right kind of sheets that will match the interiors of the guest room. Just arrange the items on the desk in an organized manner and the guest might think that you've been expecting his or her arrival. 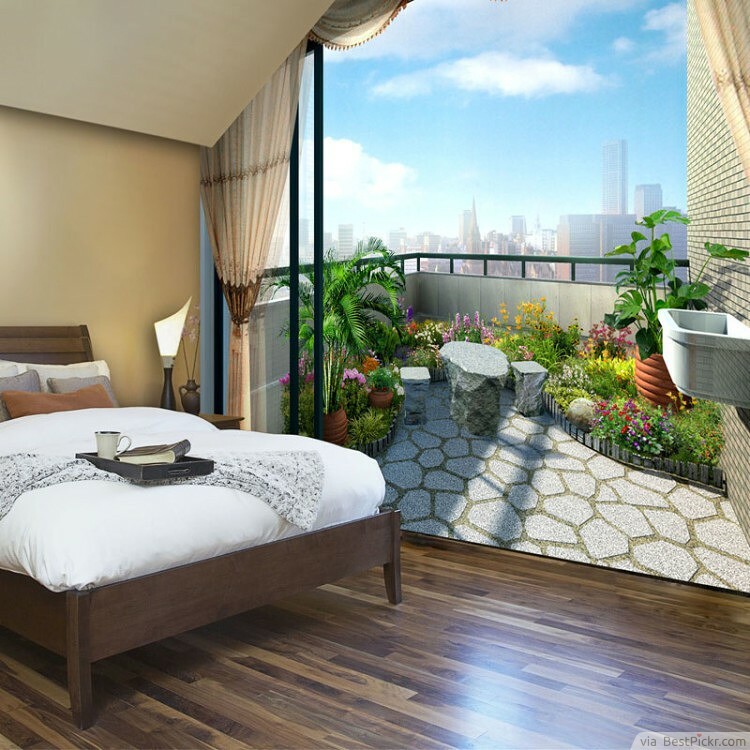 If you're one of those homeowners who like to have one grand decor instead of carefully-placed items, why not get ideas from this bedroom? The neutral colors within the room permeate a sense of warmth, and the simple wall decor gives it a country-style touch. 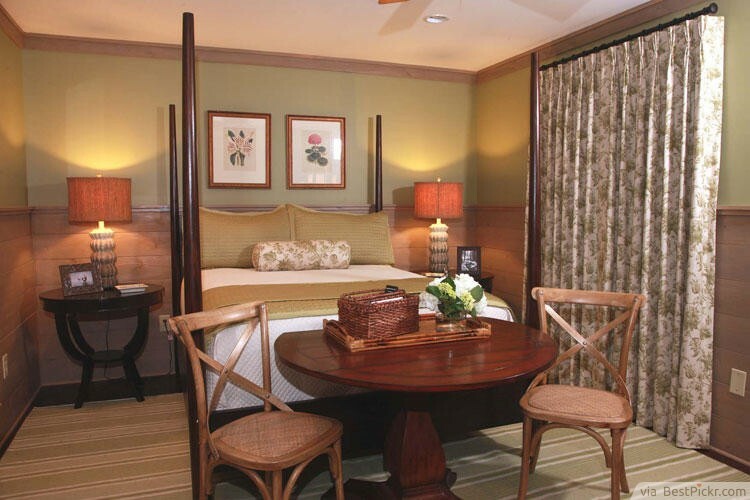 The most significant decoration is the outside view where lush green leaves add life to the earthen tones of the room.